When we look at ourselves and our world we see how much we are in need of God and his rescue and restoration. Wounded humanity has despoiled his gifts, polluted the environment, squandered resources, bruised and broken relationships, acted selfishly and faithlessly. The prayers in this book poignantly express our sorrow, and at the same time declare out love for God who sets us free, heals us, and waits patiently with mercy and compassion. 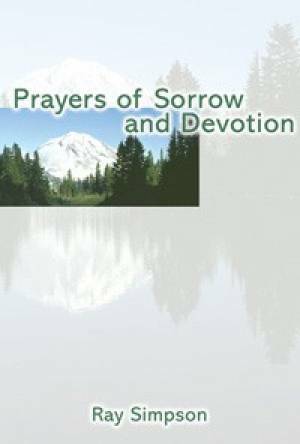 Prayers Of Sorrow And Devotion by Ray Simpson was published by Kevin Mayhew in September 2005 and is our 66889th best seller. The ISBN for Prayers Of Sorrow And Devotion is 9781844174171. Be the first to review Prayers Of Sorrow And Devotion! Got a question? No problem! Just click here to ask us about Prayers Of Sorrow And Devotion.